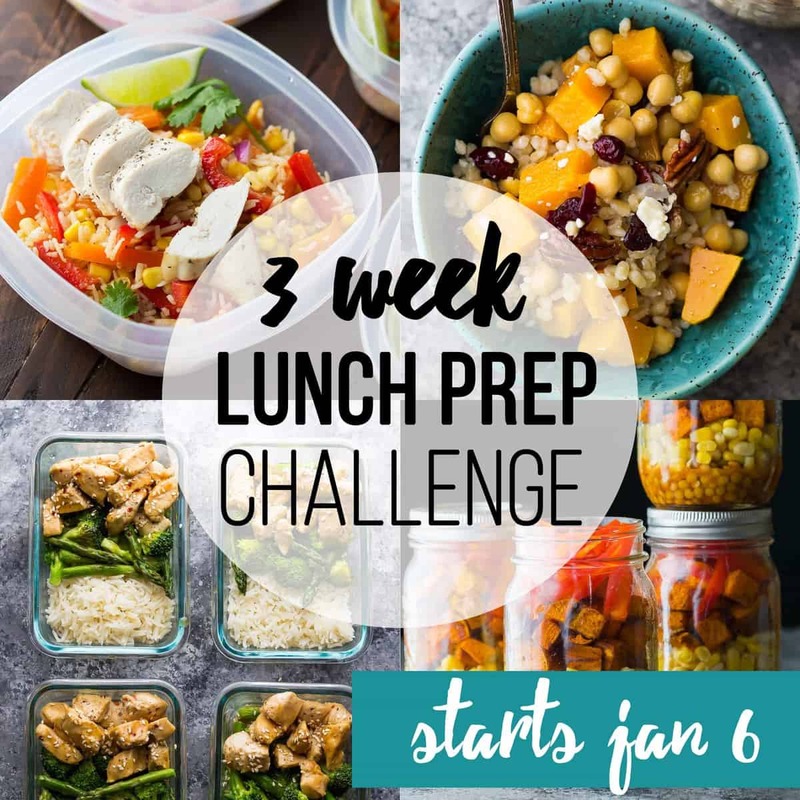 Our next live Lunch Prep Challenge is scheduled to start January 8 2019! Do you find yourself running out of time to make your work or school lunch? Do you end up making unhealthy choices, hitting the drive-thru, or eating the same thing over and over and over? I challenge you to spend one hour preparing your weekly lunches ahead of time. When you have a delicious and filling lunch ready and waiting for you, you are less likely to hit the vending machine, or reach for a sugary snack. You will have more energy. Your brain is free to think about other things. This one simple step can have a drastic effect on your day! 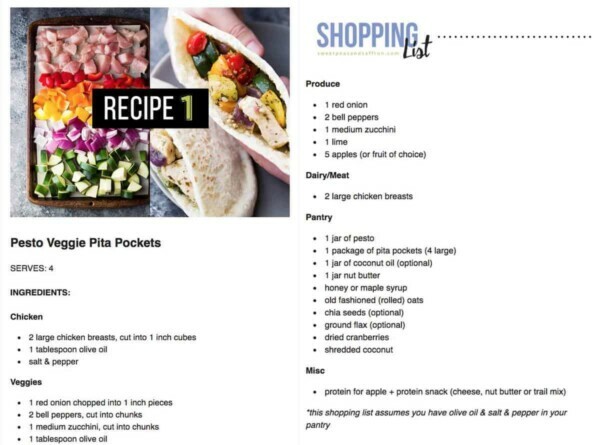 Subscribe to my newsletter for access to the Meal Prep Challenge! You will spend one hour on the weekend, preparing your lunches for the week…that’s it! Then simply grab your already-made lunch and prepare to feel energized, less stressed, and ready to meet your day. I loved this challenge! To often I skip lunch because I am rushed in the morning. But by making my lunch ahead of time, it was grab & go! What a difference it makes! It was my first time meal prepping anything, I am always a fussy eater but thought I would give it a try and absolutely enjoyed all the recipes, set aside a few hours on Sunday and enjoyed prepping lunch and in the process I dropped a kilo. What a lifesaver! This prep helped me change some bad habits at a time when I needed to be eating healthy. It was easy, fun, and got me energized to continue making healthy choices. I Love the clear menu and shopping list. I can decide if I want to add or change anything for myself easily! And check out some of these meals prepped by our previous Lunch Prep Challenge participants!